In chemistry, the noble metals are metals that are resistant to corrosion and oxidation in moist air (unlike most base metals). The short list of chemically noble metals (those elements upon which almost all chemists agree) comprises ruthenium, rhodium, palladium, silver, osmium, iridium, platinum, and gold. 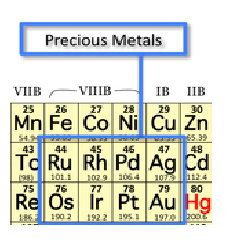 More inclusive lists include one or more of mercury,rhenium or copper as noble metals. On the other hand, titanium, niobium, and tantalum are not included as noble metals although they are very resistant to corrosion. The term noble metal can be traced back to at least the late 14th century and has slightly different meanings in different fields of study and application. Only in atomic physics is there a strict definition. For this reason there are many quite different lists of "noble metals". 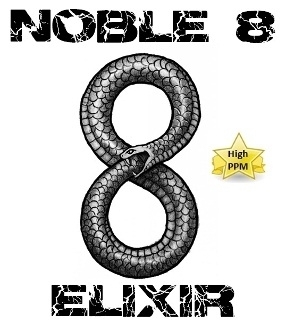 Chemistry allows for a loose definition of noble metals, but the physics definition is more restrictive. In physics, a noble metal is one which has filled electronic d-bands. According to this definition, only gold, silver and copper are noble metals. Gold is the sun metal. It has therefore been linked over the millennia with everything to do with health, wealth, and growth. On another level, it is about slow flow towards accomplishment. When working with gold, bear in mind that most things sold as gold these days are alloys. Platinum has been called the "solid wisdom metal". It has a time attribute which gives it extra dimensionality and a viewpoint of the wisdom of hindsight (or foresight). Platinum is an excellent metal for soul meditations and to help find and keep on a true road in this lifetime.